The future of the Scappoose School District's top employee remains uncertain following a closed meeting performance evaluation earlier this week. 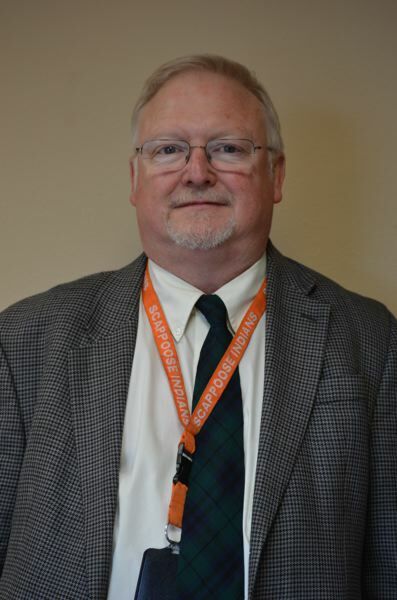 Scappoose school board members went into an executive session Monday, May 22, to evaluate and review the performance of Superintendent Stephen Jupe. Board member Jim Hoag was absent and no board actions took place following the meeting. Board Chair Joe Lewis and Vice Chair Phil Lager confirmed a follow-up meeting with Jupe took place Tuesday, however, and that Jupe was asked to consider employment options, including resigning. Jupe is currently working under a three-year contract set to expire in March 2018. "There was a meeting with the superintendent," Lewis said Thursday, declining to offer details of the Tuesday meeting. Lager said the nature of the conversation would remain confidential, but of Jupe he said the "ball is in his court to make his own decision." Lewis said he does not believe a final determination has been made and that Jupe was presented with several options related to his employment. "I think that options are still being explored," Lewis said. When asked Thursday, Jupe declined comment. "I really am not at liberty to comment at this time," he said. Typically the formal review and evaluation of the school's superintendent occurs in June. Jupe received a positive school board evaluation last year. Jupe's most recent contract renewal took place in June 2015. His review at the time was adequate for the board to give him a three-year contract extension and increase his compensation to $124,950 salary and 30 days paid vacation, according to board meeting minutes. Following the June 2016 evaluation, the board directed Jupe to make arrangements to lighten his workload in some areas. In November, Jupe approached the board with a recommendation to create a director of curriculum, instruction, secondary education and assessment position to be filled by appointment of former middle school principal, Ron Alley. The position was ultimately approved in a 5-to 2-board vote. In September, an assistant to the superintendent position was reclassified as a full-time human resources position. Also, an elementary school dean of students position was reclassified to fill a vice principal role. The total additions came with a $300,000 price tag, which also included instructional staff at some schools. Funding for the new and reclassified positions came out of the district's reserve fund. In April and May, when budget season for the next fiscal year started to come into focus, the added positions surprised some members of the budget committee and drew public criticism from those who viewed them as a segue to a top-heavy administration. Jupe also routinely drew board criticism from member Lisa Maloney, who was critical of him for not providing requested records regarding a proposed school-based health center last fall. Maloney also repeatedly asked for the creation of a formal policy committee as a subset of the school board to vet predominately state-level policy changes, especially those that deal with student sexuality education, and has routinely faulted Jupe for being non-responsive to her suggestion. Jupe joined the district in 2012 under a three-year contract, filling the full-tim, permanent position vacated by Paul Peterson. Under Jupe, Scappoose High School is ranked one of the top schools in the state for graduation rates. Peterson resigned and was released early from his contract in June 2011.